Senior Investigative Researcher Dave Maass will present a talk on EFF's first virtual reality project, Spot the Surveillance, at the Cato Surveillance Conference. You can watch live online, but if you're at the conference, you can also demo the project on an Oculus Go. 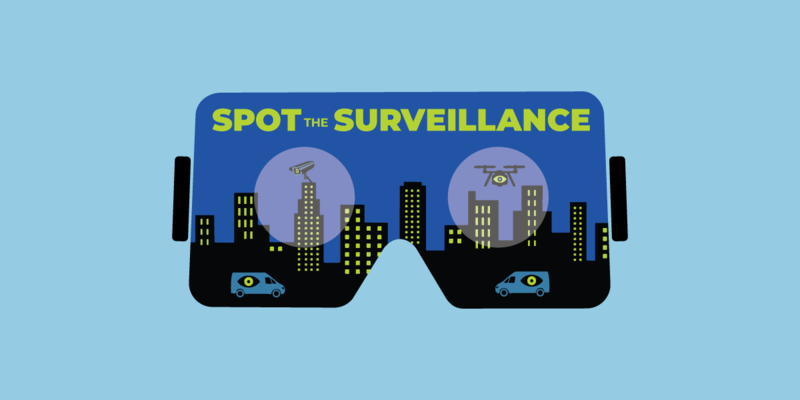 Spot the Surveillance teaches people how to identify the various spying technologies that police may deploy in communities. The user is placed in a street scene, where a young resident is in the middle of a police encounter. By looking up, down, and all around, the user is taught about a variety of surveillance technologies in the environment, including a body-worn camera, automated license plate readers, a drone, a mobile biometric device, and pan-tilt-zoom cameras. The Cato Surveillance Conference also features talks by Rachel Levinson-Waldman of Brennan Center for Justice; Jake LaPerruque of the Project on Government Oversight, and Heather West of Mozilla, as well as prestigious list of investigative journalists and academics.